Diet and exercise are pretty obvious points when it comes to a healthy lifestyle but sleep is equally as important. Without enough sleep, we have all kinds of issues from the self evident drowsiness to a loss of mental sharpness. It also leads to challenges around diet and certainly impacts our desire to exercise. Who wants to go to the gym tired? That’s why the latest update to Fitbit for Android is really important. 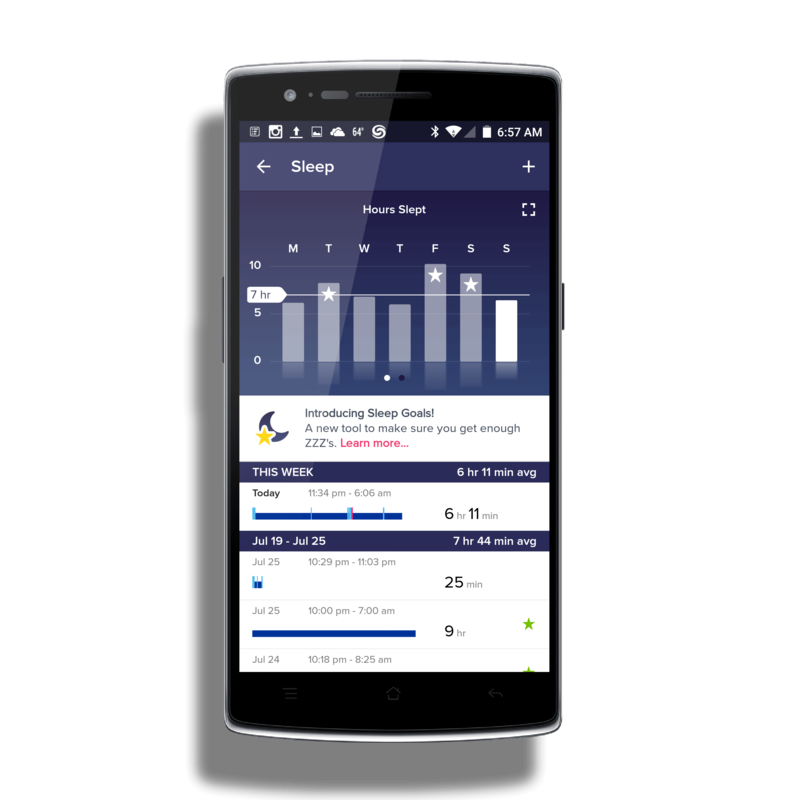 In this latest update, version 2.8 for those keeping score at home, you have the ability to set a nightly sleep goal. In fact, this entire update is essentially dedicated to sleep with other features added around sleep and sleep goals. If you already use your Fitbit to track your sleep nightly then this new update will give you new insights and help you focus on getting the right amount of rest you need each day. Along with this new goal, the Fitbit app has completed redesigned sleep graphs to help you track your progress and it also has a redesigned sleep history to help you do some comparisons between your nightly sleeps and a nap. Overall there is a lot more sleep data in the app now than ever. There are a few other things in this update. You now have the ability to share the badges you have earned with your social networks (Facebook, Tumblr, Twitter, etc) with your friends, family or followers. There are also a handful of bug fixes in this release but what exactly was address was not outlined in the release notes. The Fitbit app is free as is an account on the service. It’s probably clear but just in case – you will need a Fitbit tracker to use the app. Right now on Amazon you can get the Fitbit Charge on sale for $115, down from the normal $129 price.